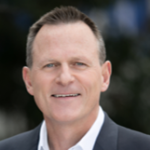 Andrew Frye is SVP & President APAC since July 2017, covering North Asia, including Japan and Korea, China, SE Asia, India and Australian markets. Previously, he was with DKSH Healthcare, one of the largest healthcare service providers in Asia, where he was the Global Head of Healthcare. In that role, Andrew has been overseeing a portfolio of pharmaceuticals, over-the-counter (OTC) and device products with annual sales of $5 billion across Asia. He originally joined DKSH Healthcare as the Vice President of Business Development. Prior to DKSH, Andrew held a number of commercial roles of increasing, cross-geographical responsibility at Abbott Laboratories’ Pharmaceutical division, which, post its 2013 spinoff, is now AbbVie. Andrew resides with his family in Bangkok, Thailand. Stryker has a long and proud record of leadership, commitment and support for the Medical Technology industry in Asia Pacific. Stryker operates in a very broad range of MedTech sectors including theatre and hospital equipment, beds, surgical consumables, neuro technology and orthopaedic implants (maxillio-facial, spine, joints and trauma). Graham has worked for Stryker for 14 years with extensive experience across Asia Pacific. Graham’s current role is President Asia Pacific and he sits on the Stryker global Executive Leadership team. Graham was formerly President of Stryker Australia/New Zealand and sat on the MTAA Board for 3 years, then President of Stryker Japan and sat on the AMDD Board for 2 years. He has front line experience of the challenges and issues in key markets in the region. Graham offers a unique set of skills and experience including 20 years of leadership in food and drinks businesses, consulting, as well as MedTech. He has governance experience, having worked closely with public listed company boards and voluntary organizations, is a member of the Institute of Company Directors and a qualified accountant. 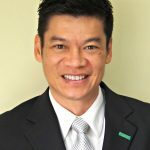 James Lim, Executive Vice President and President, Greater Asia of Becton Dickinson (BD) sits on BD’s Global Leadership Management Committee reporting to the CEO. Based in Singapore, BD’s regional headquarters, James leads the business operations in China, Japan, Taiwan/Hong Kong, Australia, and New Zealand, Korea, SEA, India and Pakistan. James joined BD in 1994 from Seagate International. 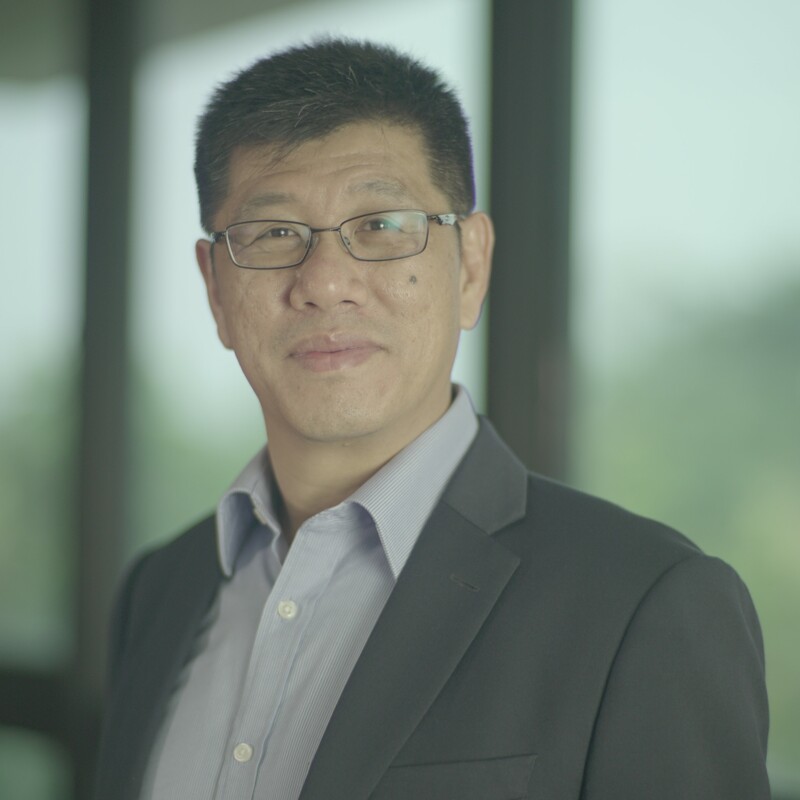 Starting as an Engineering and Facility Manager for BD Medical (Singapore), after a 3-year assignment in R&D, he became a Plant Manager in 2000. In 2003, he was promoted as the Director of Operations for Asia Pacific, where he was responsible for the regional Manufacturing and Supply Chain functions, overseeing plant operating in Singapore, Bawal, India and Suzhou, China. In April 2008, James was appointed as the Vice President for Central and Asia Pacific, holding responsibility for the Central Asia Business Management and support functions for the entire Asia Pacific region. Four years later James was appointed as President of Greater Asia and an Executive member of the company, becoming the first Asian leader to take office in the region’s 30-year history. A strong believer in developing and retaining the best of talents, in July 2014, James was conferred the Leading CEO award by the Singapore Human Resources Institute (SHRI). The award was testimony to his championship of innovative and effective HR ideas and practices and demonstration of leadership commitment to talent development within the industry. 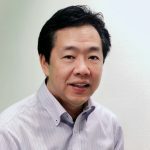 James had his early education in Malaysia and continued onto the National University of Singapore where he graduated with a Mechanical Engineering Degree. Married and with two teenage sons, James tries to spend as much time as possible with them between his businesses travels. He is passionate about automotive and an avid fitness enthusiast. Harvinder Singh heads Abbott Vascular’s Asia Pacific and Japan business and is based in Singapore. Harvinder has been with Abbott for 16 years and in the healthcare industry for over 25 years. His work experience includes both medical device and pharmaceuticals. 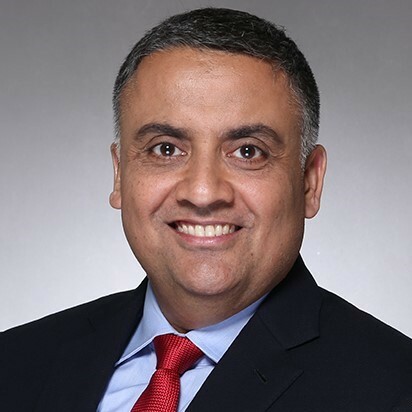 In his previous roles, Harvinder has been President of Abbott Vascular Japan, General Manager of China & North Asia, Head of marketing and strategy APAC and Head of sales in India. He has also worked with Eli Lilly India in marketing role. Harvinder’s educational background includes an undergraduate degree in Chemistry and Biology, and an MBA in Marketing. He has attended various management development programs in the US including the Program for Leadership development at the Harvard Business School. Rajkumar Narayanan is the Region President, Asia at Alcon. He leads a diverse region which includes 16 markets and more than 2,000 associates across the Surgical and Vision Care business franchises. Mr. Narayanan has over 30 years of experience in the medical device, pharmaceutical and consumer sectors. He also has extensive Asia experience having worked in India, Australia, Japan, Singapore and Greater China. Prior to joining Alcon, he successfully led a large and fast growing business as Senior Vice President and Region President of Allergan, Asia Pacific. He had an over 20 year history with Allergan having also worked in the United States and the United Kingdom. He was Vice President, Medical Aesthetics for Allergan Europe, Africa and the Middle East. Prior to this he was Vice President, Allergan Greater China and Japan where he was responsible for establishing a commercial footprint in China and Japan and managing established businesses in Hong Kong, Taiwan and India. Mr. Narayanan worked for Unilever in India before joining Allergan in 1995. Mr. Narayanan won the Global Business Leader Award from the Institute of Chartered Accountants of India in 2015. He holds the designations of Chartered Accountant (Institute of Chartered Accountants of India), Cost Accountant (Institute of Cost & Management Accountants of India) and Company Secretary (Institute of Company Secretaries of India). He has a Bachelor of Finance and Economics degree from Bombay University in India. Warren Wang is Senior Vice President and President, Asia Pacific for Boston Scientific and a member of its Executive Committee. In this role, he is responsible for overseeing the continued growth of our company in Asia Pacific and the ongoing development of our leadership teams. Prior to his current role, he served as President and Managing Director, North Asia until December 2017. Wang joined Boston Scientific in 2012 as Vice President and Managing Director for China. Wang is known for successfully championing strategic collaborations with local organizations to increase our presence and local innovation development in China, such as our work with Frankenman Medical Equipment, PINS Medical Equipment Company, Tsinghua University and the International Health Industry Innovation Fund. Wang earned his Bachelor in Economics from the University of International Business and Economics, Beijing and an MBA in Marketing and Finance from the University of Chicago, Booth School of Business. 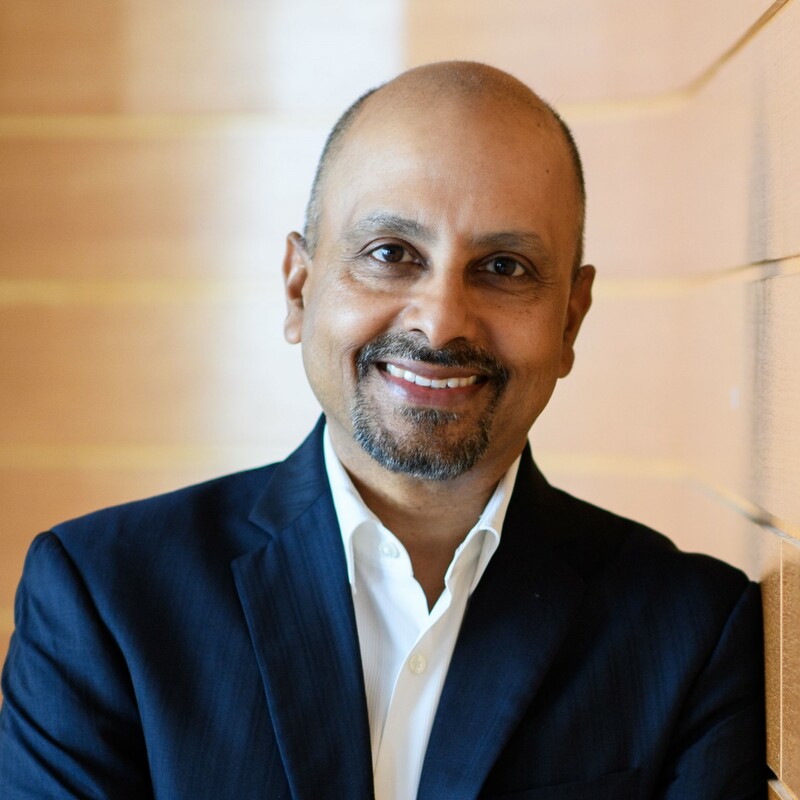 Sanjay Prabhakaran joined Hologic in July 2016 with more than 25 years of experience in medical devices, diagnostics and biotechnology across the Asia Pacific region. Mr. Prabhakaran worked at Baxter International from 2007 to 2016, most recently as President, Asia Pacific, where he oversaw a commercial and manufacturing footprint exceeding $2 billion in sales with over 12,000 employees. From 1997 to 2006, Mr. Prabhakaran worked at Boston Scientific in senior leadership roles. He began his career at Boehringer Mannheim GmBH in India. 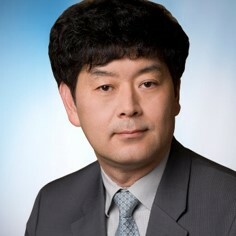 He has been a member of the board of AdvaMed in China, and has helped build government partnerships across the region. 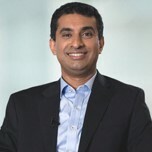 He received a Bachelor of Technology degree in Electronics and Communication from Calicut University, and graduated from Harvard Business School’s Advanced Management Program. Chris has a strong track record of global leadership in the healthcare industry – both in pharmaceutical and medical technology. He is known for his inclusive leadership style, commitment to meritocracy, and proven business success. During his time in China, Chris developed strategic partnerships with the Chinese government and was a strong supporter of corporate social responsibility – leading the company’s effective relief efforts to respond to the Lushan earthquake in Sichuan Province. Chris holds a bachelor’s degree from the University of Arizona, Tucson and a master’s degree from the American Graduate School of International Management (Thunderbird). He is fluent in English and Korean, with a good understanding of Mandarin Chinese and Japanese. 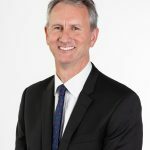 Ian is CEO of the Medical Technology Association of Australia, the national association representing companies in the medical device industry. Ian is a director of the Asia Pacific Medical Technology Association, which is headquartered in Singapore, and is also a director and Vice Chair of Red Nose, formerly known as SIDS & Kids, a well-respected not-for-profit organisation that is dedicated to saving the lives of babies and children. 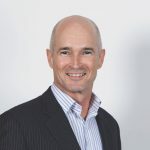 Ian has a varied career in both not-for-profit and commercial organisations and his previous CEO roles have included the Australian Dental Association (NSW), the Australian Orthopaedic Association and a private equity backed health business with more than 350 staff. Ian is a member of the Australian Institute of Company Directors and holds an MBA from Macquarie University and a Bachelor of Economics from the Australian National University. 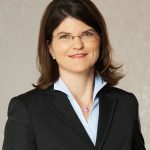 Elisabeth Staudinger leads the business for Siemens Healthineers in Asia Pacific since 2013, first being based in Singapore and since early 2018 in Shanghai, China. Elisabeth studied Chinese and economics in Vienna, Nanjing, and Beijing and holds master’s degrees in both subjects. Elisabeth joined Siemens in 1988 and has worked in international management roles spanning from procurement to strategy, marketing, manufacturing, and business unit CEO, spending time both in Germany as well as Shanghai, China. Elisabeth is passionate about innovation. To enable access to healthcare it will not only take smart new technologies but also new business models. In addition, digitization and artificial intelligence may have a fascinating role to play. Yukishige Sanada is Managing Director, Terumo Asia Holdings. Currently based in Singapore, Mr Sanada has been working since 1990 for Terumo Corporation, a Japan-headquartered global medical technology company. Prior to his Singapore position, Mr Sanada was Chairman of PT. Terumo in Indonesia (2017-2018), General Manager of Terumo Europe in Belgium (2012-2016), General Manager of Terumo South Africa (2007-2011), Marketing Manager of Cardiovascular Business, Terumo Corporation in Japan (2002-2007), and Marketing Manager of Terumo Corporation, Dubai Branch in UAE (1997-2002). Given 28 years of experience in the medical-devices Industry covering Africa, Middle East, Europe, Asia and Japan, he is well-versed in business development and management practices. 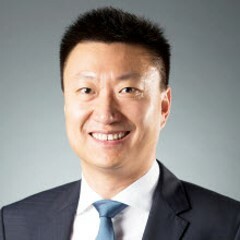 Mr Lam Chee Hong is the President and a Member of the Management Board of B. Braun Asia Pacific. As President, Mr Lam is responsible for the Group’s pharmaceutical and medical technology business across the region. Mr Lam begin his career with B. Braun in 1986 as a medical sales representative. In recognition of his leadership, versatility and business performance, he was continually entrusted with additional key responsibilities and ascended through the levels in the organization to assume the most senior leadership role in B. Braun Asia Pacific. Based in B. Braun’s regional headquarters in Penang, Malaysia, Mr Lam also oversees on of the B. Braun Group’s largest production sites in the world with over 7,700 employees. Mr Lam graduated with a Bachelor of Economics from the University of Malaya. He is married and has two children. Julie Tay is Senior Vice President and Managing Director, Asia Pacific responsible for Align Technology’s market development and operational execution of all Align Technology products and services in the Asia Pacific region. She joined the company in March 2013 originally as Vice President and Managing Director, Asia Pacific. Ms. Tay has more than 20 years’ experience in international management of various segments including consumer healthcare, medical devices and chemical businesses across Asia. 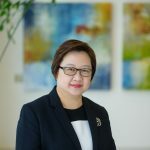 Prior to joining Align Technology, Ms. Tay was regional head of Bayer Healthcare (Diabetes Care) overseeing operations across Asia where she grew the business into a sustainable and profitable operation in three years. Prior to Bayer, Ms. Tay spent 15 years with Johnson & Johnson Medical where she was instrumental in establishing the LifeScan franchise within Asia. Ms. Tay holds an M.B.A. from Curtin University of Technology (Australia) and a B.A. degree from the National University of Singapore. Tim has been with Johnson & Johnson for 25 years and has held a variety of diverse leadership positions in sales, strategic marketing and general management across multiple businesses and geographies. 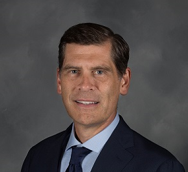 Most recently, Tim served as Chief Strategic Customer Officer for Johnson & Johnson Medical Devices, where he helped lead transformational changes to Johnson & Johnson’s business-to-business relationships with health systems in the U.S. Under his leadership, the team introduced a streamlined account management model, delivered new contracting options, improved pricing discipline, and launched a comprehensive suite of solutions to help health systems reduce costs, improve outcomes and advance patient satisfaction. As President of Ethicon, Tim led the turnaround of Johnson & Johnson’s market-leading surgery businesses in the U.S. This included the integration of five standalone businesses and the implementation of a new go-to-market model to address marketplace shifts and better align the business with evolving customer needs. Throughout his career, Tim has been a strong advocate for Johnson & Johnson’s commitment to communities and leads the company’s philanthropic partnership with Operation Smile, focused on bringing safe and effective surgical care to children suffering from cleft lip or cleft palate. As Operation Smile’s largest corporate donor, the partnership now involves in-kind product donations, cause-related marketing programs, product development and employee fundraising campaigns touching 30,000+ associates around the world. A global citizen, Tim was educated in South Africa, Canada and the United Kingdom, and has lived and worked in five countries on three continents. He earned his undergraduate degree from the University of Western Ontario in Canada, and an MBA from Richmond University in the United Kingdom.